Because if you haven't read it - you really should. 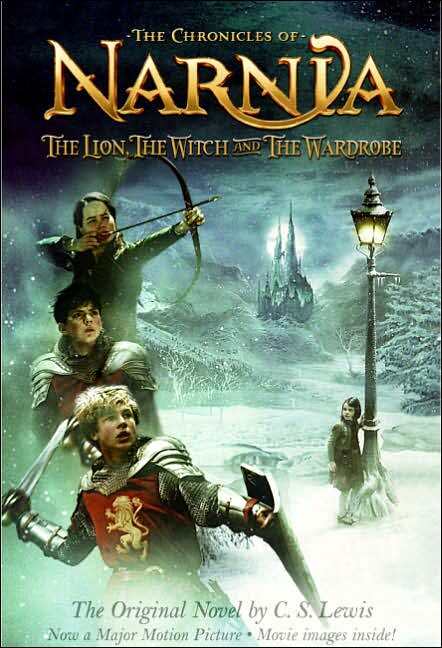 Out of all of the Narnia books, The Lion, the Witch and the Wardrobe remains my favorite in the series. It's the best kind of comfort read to me (aside from Anne, of course). I love this story in its entirety and so, of course, I feel that everyone should make the effort to read it at least once in their lifetime. If you have not yet done so, then here's a chance to rectify the situation. 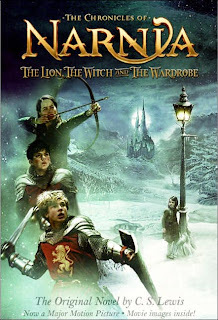 I have one copy of The Lion, the Witch and the Wardrobe, Movie Tie-in Edition (pictured above) to give away to one of you. Would you like to win? imply leave a comment below. This contest is open to U.S. and Canadian residents. If you are participating in the challenge and have written up a post on your blog saying so, you may leave TWO comments for two separate entries. This contest will be open through Thursday, July 19th. THIS CONTEST IS NOW CLOSED. The winner, as selected by random.org, is #2 - Apple Blossom. How fun! I would love a copy of this movie. It took me a bit to figure out that it's the original book with photos from the movie. (Right?) I am not opposed to adding it to our collection since our Narnia books are actually just the single volume. I have The Complete Chronicles of Narnia. I started The Magicians Nephew for your July read and now I can't stop! I am going to read through every one of the stories! Am I too late to enter? I've been picking up these illustrated books at used book sales. Haven't seen this one but would love to add it to our collection! Thanks. my daughters will love this.